Shivapuri hill is located to the north of Kathmandu. It is 12 km far from Kathmandu. This is the valley’s second highest hill from where one can view of Ganesh Himal (7,111 m),Langtang Lirung (7,245 m),and Dorje Lakpa (6,966 m). The granite faced slope has different spots to crawl up but the central big cliff is the most challenging. One has to be equipped for this. It is 8 km to Budhanilkantha from Kathmandu, where we can go by bus. We can see the reclining Vishnu in the pond, a Hindu/ Buddhist pilgrimage center. Then Hiking up from there, can be reached to the military camp. After this, we go up following the gravelled road inside the forest. We reach to the Nagi Gompa, a local monastery on the top. This is the nice view point for the valley view and the hill to see in the South. After few kilometers towards Tare Bhir, we can see the black stone steep cliff hanging from the road which is our climbing spot for today! 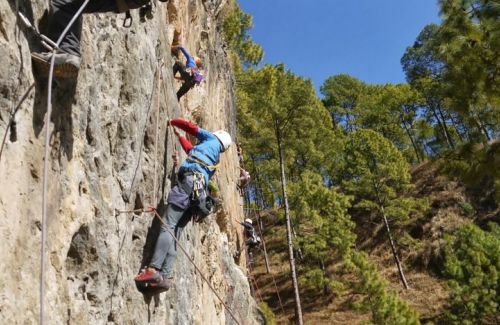 Day 01:Drive from Kathmandu city center to the Muhanpokhari gate, 1 hour, hike about an hour till the climbing spot, 2 hours rock climbing, have packed lunch and return back to hotel. Day 01Drive from Kathmandu city center to the Muhanpokhari gate, 1 hour, hike about an hour till the climbing spot, 2 hours rock climbing, have packed lunch and return back to hotel.After breakfast, we begin our trip towards Budhanilkantha Temple, the famous reclining Vishnu temple, visited by both Hindus and Buddhists. From the temple, we ascend and reach to Muhanpokhari where there is Military Camp. It takes about an hour to be there. We register our name and get permission for the climbing. Then we proceed towards Nagi Gompa, a beautiful Tamang monastery. Continuing walk from there, we reach to the spot at Tare Bhir. 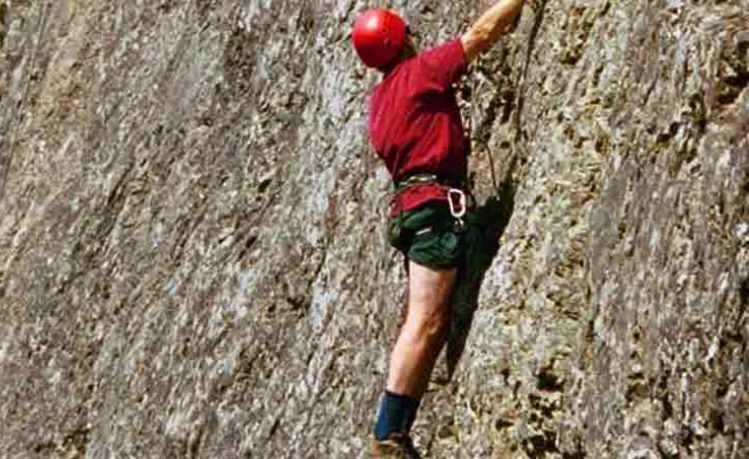 We get equipped and climb the natural rock successfully and then return back to hotel in Kathmandu.